As summer heat asserts itself, many states are finding themselves choked in drought conditions. We’re exploring available resources, sustainability practices, and usage rights. We’ve got a significant water shortage this year. To open this episode, we discuss plans for a new tunnel under Lake Mead that is large, expensive, and fraught with political complications. Dr. Peter Glick joins us to discuss water supply concerns, sustainability and needs. As drought conditions worsen, smarter irrigation strategies and energy efficient appliances are a necessity. Are these steps too little too late in areas like Las Vegas? Dr. Peter Glick sounds off. Are we making short term plans for the long term problem of climate change? With water shortage concerns on the rise, Research Marine Physicist Tim Barnett, shares thought provoking insights. Will future generations war over water usage rights? Our focus turns to the Tigris River Dam and Renaissance Dam development projects. With confusing identifiers like “Florida Crystals” it can be difficult to identify which foods contain sugar. Eve Schaub, author of “A Year of No Sugar,” shares what it was like to kick her sugar habit, and the stumbling blocks that she encountered along the way. When Eve Schaub began her mission to live a year without sugar, there were good days and bad days. Find out why she wouldn’t change a thing. Listen Live Saturdays 12-1pm PST, 3-4pm EST. 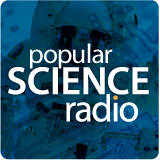 POPULAR SCIENCE RADIO brings you all the newest discoveries and emerging technologies, cutting-edge innovations in science and technology each week. Presented in an interactive, entertaining and easy to understand forum with host, Alan Taylor. Broadcast weekly from out Los Angeles studio and “on the road”, Popular Science Radio brings you behind the scenes coverage from technical and scientific events around the country. Get the latest on time travel, warp factors, reprogramming your mind, artificial intelligence, and the current innovations in automobiles, gadgets, food science, technology, health and lots more. Join host Alan Taylor with an exciting a mix of scientific experts, bold inventors, tech geeks, dreamers, innovators, tinkerers, thinkers and celebrity guests. 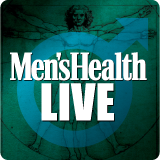 This is your source to uncover scientific and the technical treasures on nationally syndicated radio.